» INOX Float Taps E.U. 1/2"
Stainless Steel Float Tap European Origin 1/2"
» INOX Float Taps E.U. 3/4"
Stainless Steel Float Tap European Origin 3/4"
» INOX Float Taps E.U. 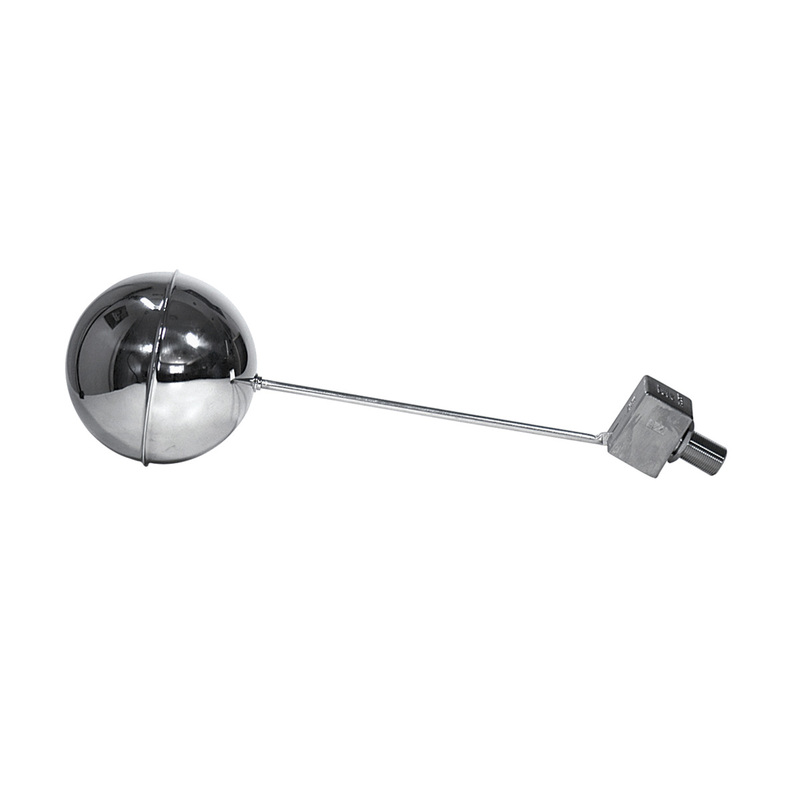 1"
Stainless Steel Float Tap European Origin 1"
» INOX Float Taps E.U. 1.1/4"
Stainless Steel Float Tap European Origin 11/4"
» INOX Float Taps E.U. 1.1/2"
Stainless Steel Float Tap European Origin 11/2"
» INOX Float Taps E.U. 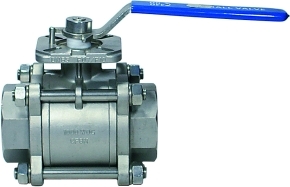 2"
Stainless Steel Float Tap European Origin 2"
» GENEBRE 3-Piece FB Ball Valve, w.Square Shaft, 316 PN64 EU FF 1/2"
GENEBRE 2025 3-Piece Threaded End Ball Valve, with Mounting Pad, Square Shaft and Hand Lever, Body Material:SS316, 1000 WOG, Full Bore, Threeaded BSPP 1/2"
» GENEBRE 3-Piece FB Ball Valve, w.Square Shaft, 316 PN64 EU FF 3/4"
GENEBRE 2025 3-Piece Threaded End Ball Valve, with Mounting Pad, Square Shaft and Hand Lever, Body Material:SS316, 1000 WOG, Full Bore, Threeaded BSPP 3/4"
» GENEBRE 3-Piece FB Ball Valve, w.Square Shaft, 316 PN64 EU FF 1"
GENEBRE 2025 3-Piece Threaded End Ball Valve, with Mounting Pad, Square Shaft and Hand Lever, Body Material:SS316, 1000 WOG, Full Bore, Threeaded BSPP 1"
» GENEBRE 3-Piece FB Ball Valve, w.Square Shaft, 316 PN64 EU FF 1.1/4"
GENEBRE 2025 3-Piece Threaded End Ball Valve, with Mounting Pad, Square Shaft and Hand Lever, Body Material:SS316, 1000 WOG, Full Bore, Threeaded BSPP 11/4"
» GENEBRE 3-Piece FB Ball Valve, w.Square Shaft, 316 PN64 EU FF 1.1/2"
GENEBRE 2025 3-Piece Threaded End Ball Valve, with Mounting Pad, Square Shaft and Hand Lever, Body Material:SS316, 1000 WOG, Full Bore, Threeaded BSPP 11/2"
» GENEBRE 3-Piece FB Ball Valve, w.Square Shaft, 316 PN64 EU FF 2"
GENEBRE 2025 3-Piece Threaded End Ball Valve, with Mounting Pad, Square Shaft and Hand Lever, Body Material:SS316, 1000 WOG, Full Bore, Threeaded BSPP 2"
» GENEBRE 3-Piece FB Ball Valve, w.Square Shaft, 316 PN64 EU FF 2.1/2"
GENEBRE 2025 3-Piece Threaded End Ball Valve, with Mounting Pad, Square Shaft and Hand Lever, Body Material:SS316, 1000 WOG, Full Bore, Threeaded BSPP 21/2"
» GENEBRE 3-Piece FB Ball Valve, w.Square Shaft, 316 PN64 EU FF 3"
GENEBRE 2025 3-Piece Threaded End Ball Valve, with Mounting Pad, Square Shaft and Hand Lever, Body Material:SS316, 1000 WOG, Full Bore, Threeaded BSPP 3"
» GENEBRE 3-Piece FB Ball Valve, w.Square Shaft, 316 PN64 EU FF 4"
GENEBRE 2025 3-Piece Threaded End Ball Valve, with Mounting Pad, Square Shaft and Hand Lever, Body Material:SS316, 1000 WOG, Full Bore, Threeaded BSPP 4"